Bahía Blanca, 4 de febrero de 2013. 1. Designación de dos (2) socios para firmar el acta de la Asamblea. 2. Lectura y aprobación de la Memoria Anual 2012.
de la Comisión Revisora de Cuentas. 4. Renovación parcial de autoridades de Comisión Directiva: Presidente (por 1 año para completar mandato) , Vicepresidente ( por dos años); Secretaria (por 1 año para completar mandato ) ; Pro-Secretaria (por 2 años ); Pro-Tesorera ( por 2 años); Vocal Titular ( por 1 año para completar mandato); y Vocal Suplente ( por 1 año). De Comisión Revisora de Cuentas: Titular 1ra ( por 2 años); Titular 3ra. (por 2 años) y Suplentes 1ra y 2da (por 1 año). 5. Modificación del domicilio de la sede social a: Chiclana 681, 2do Piso,Of.13. Nota: Artículo 31 del Estatuto. “Las Asambleas se celebrarán válidamente con la presencia de la mitad más uno de los socios con derecho a voto. Una hora después de la fijada en la convocatoria, si antes nos se hubiera conseguido ese número, se reunirá legalmente constituida con el número de socios presentes, siempre que no fuera inferior al total de miembros titulares de la Comisión Directiva. IMPORTANTE: La presente Convocatoria fue enviada por correo electrónico a los socios activos y publicada en la página web de la institución. Queremos informarles que el CD de audio con los diálogos de cada obra de The Performers se encuentra a disposición de quien quiera pasar a retirarlos por la oficina de APIBB. Los archivos de los materiales para trabajar en clase se enviarán por mail a quien lo solicite, pero les recordamos que pueden acceder a éstos desde la web de las obras. Para saber cómo hacerlo, por favor comunicarse con nosotros. ¡Muchas gracias! Splash is a story about three friends who live in the ocean: Chloe the fish, Sarah the seahorse and Oliver the octopus. Every day they go swimming, searching for adventures and cleaning up the rubbish that people dump into the sea. There is one thing they are really cautious about: sharks. As everybody knows, sharks eat fish. What will happen when they meet Harry the shark? Will they be able to persuade him into eating something different? Will he help them to clean up the ocean? Let’s dive in and find out what happens! Some scientists are doing research under the surveillance of a very demanding General Director who insists on having immediate results. Dr. Jekyll has been working hard on a Dual Personality formula that will enable a person to become someone completely different. Even though the experiment is almost finished, the results are not exactly what he has expected. Dr. Smith, the other scientist under surveillance, will attempt to steal Dr. Jekyll’s formula and pretend it’s hers.This story describes a society where everyone pretends to be someone else for fear of not being accepted, or loved. Will they be able to defend who they really are and face the consequences? Let’s enjoy a hilarious comedy about the importance of being oneself. A group of friends meet for drama class and an unexpected series of stories unfold. Love, hate, ambition, loyalty and death will be some of the topics they will develop. Little by little, Shakespeare’s plays will be brought to life by these students, who will gain a deeper and lasting understanding of the characters’ feelings, some of which are surprisingly not so far away from their own. Shakespeare’s works will hereby become the trigger to reflect upon these topics. Interwoven with some of the most famous Shakespearean texts, this modern story aims at awakening the students’ comprehension of their own attitudes and feelings as well as of those around them. Booking in advance is a must! Mie y vie. de 16 a 20 hs. e-duTraining Raffle: We have a winner! DISCOUNT & LAST MINUTE RAFFLE!!!! Free course from E-duTraining, $450 value! We have the pleasure to announce that E-duTraining and APIBB have partnered up in order to offer a 10% discount to APIBB members in all of their courses. 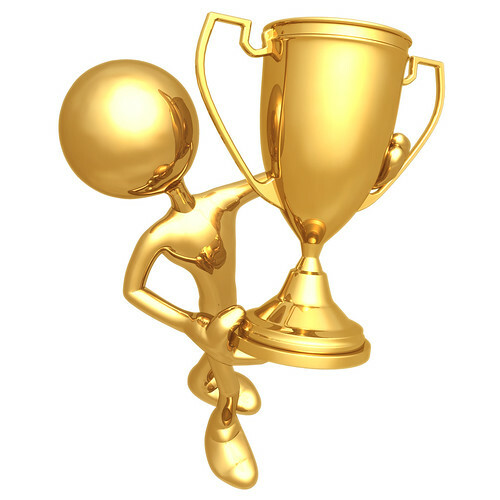 The spirit of this award is to motivate and reward those members of APIBB who present papers or workshops at the FAAPI Annual Conference. 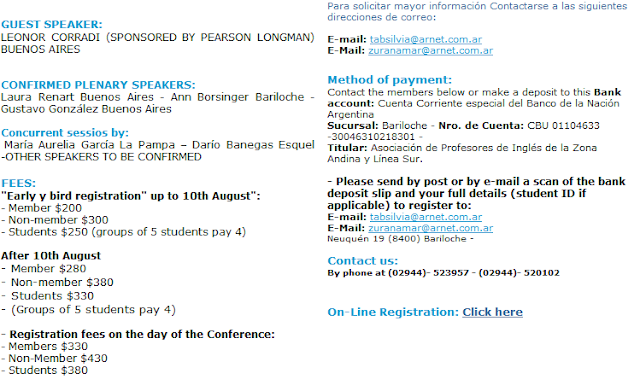 APIBB will grant one scholarship for the FAAPI 2012 Conference, which covers the registration fee and a bus ticket for a conference speaker. APIBB Members can be awarded the scholarship only once. to submit an application and a speaker proposal form by 31st July 2012. A decision will be made by APIBB’s Committee by 31 August 2012.
to attend the informal meeting of FAAPI Associations with the APIBB Executive Committee Member(s) in a bid to encourage APIBB Members to actively participate in institutional matters. to send a 250-word report on the experience at the Conference for publication by APIBB. 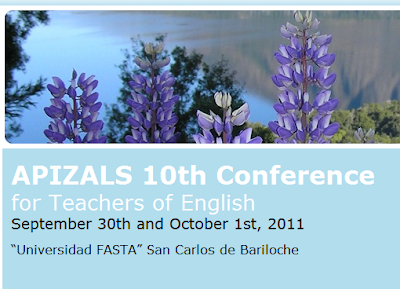 to deliver his/her presentation in Bahía Blanca (on site event or webinar) including a summary of the sessions s/he attended and his/her personal reflections. IATEFL Conference Highlights Event – FREE!!! APIBB would like to invite you to a unique event: we will be meeting on May 19th, from 9.30 to 12.30 to watch some of the sessions from past IATEFL conferences. We will be also sharing the powerpoint presentation and handouts that were provided at the original sessions. This event is FREE, but registration is necessary. Please contact us to sign up for this fantastic opportunity to see some fantastic presenters in action! In this workshop we shall look at some grammar, vocabulary and spelling exercises, discuss what makes them more – or less – interesting, and explore some strategies that can add interest to the boring ones. The aim is to equip participants with some ‘practical principles’ for creating and maintaining interest in essentially form-focused procedures. 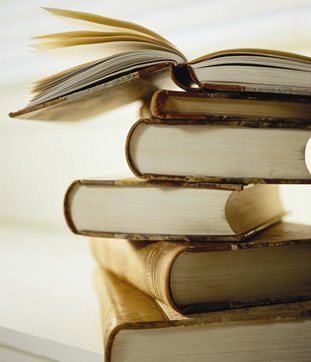 Are you looking to supplement the course book, prepare an ESP class or take the first steps towards getting published? Then this workshop is for you. We will be taking a hands-on approach, discussing the strengths and weaknesses of a range of teaching resources, making improvements to them and exploring the theoretical issues underpinning our decisions. Teachers who wish to update and upgrade their teaching by using learning technologies have some difficult issues to confront, and we have to recognise that teachers deserve far more help with discovering how best to exploit digital methods. The presentation starts from the premise that only teachers have the knowledge, experience, and appropriate context for developing the new forms of pedagogy made possible by digital learning methods. Effective use of learning technology will not come about unless teachers are at the helm of innovation. In the context of TEFL, digital technologies can enhance the learning experience in so many different ways – through analytical tools, online communication through text, audio and video, multimedia presentations, digital games, virtual reality environments… almost every type of digital technology can enhance some aspect of language learning. There is so much language teachers could do with technology-based innovation. But this is a huge demand on teachers: to discover how to use new types of technology, which are changing continually, alongside delivering more and better teaching also demanded of them. The presentation will argue that we need to pay more attention to supporting the teacher as innovator, and will propose the kinds of tools and resources that are needed to help the language teaching community develop this new specialised knowledge and skill base. About Diana Laurillard: Diana Laurillard is Professor of Learning with Digital Technologies at the London Knowledge Lab, Institute of Education, leading externally-funded research projects on: i) developing a learning design supportenvironment for teachers, and ii) developing software interventions for learners with low numeracy and dyscalculia. This work relates closely to her roles as Pro Director for Open Mode learning, and as afounder member of the Planning Board for the cross-institutional Centre for Educational Neuroscience (IOE, Birkbeck, UCL). Previous roles include: Head of the e-Learning Strategy Unit at the Department for Education and Skills,where she developed the first cross-sector e-learning strategy on; Harnessing Technology; Pro-Vice-Chancellor for learning technologies and teaching at The Open University, Visiting Committee on IT at Harvard University and previously worked on the Technology Enhanced Language Learning programme. Current roles include: Royal Society Working Group on Educational Neuroscience, Boards of theObservatory for Borderless HE, Supervisory Council for Fern Universitaet in Hagen, Governing Board ofthe UNESCO Institute for IT in Education. She has given many international keynote addresses, published in many academic journals and books, andher book Rethinking University Teaching: A conversational framework for the effective use of learningtechnologies (2002, RoutledgeFalmer) is one of the most widely cited in the field. TESOL Quarterly (TQ), a professional, refereed journal, encourages submission of previously unpublished articles on topics of significance to individuals concerned with English language teaching and learning and standard English as a second dialect. TQ is an international journal, and as such it welcomes submissions from English language contexts around the world. If you want to learn more about this unique opportunity, please contact our offices by e-mail and we will forward your information to Ms. Soler. Thank you for coming to the 2012 Bookshow! On behalf of APIBB, we would like to thank everybody for coming to this year’s bookshow and help in making it such a success. We hope you enjoyed it too! See you next year! A fin de facilitar el acceso del público en general a la información necesaria para poder elegir un profesor, APIBB incorporó en el año 2011 una nueva sección a su página web donde se puede consultar un listado de socios que dictan clases en forma particular (el listado no incluye socios dueños de institutos), con datos tales como niveles, tipo de exámenes y zona de residencia. Dicho listado NO contiene dirección, número de teléfono o correo electrónico por razones de seguridad. En su lugar, una vez que la persona elige uno o más profesores de su conveniencia, deberá llamar a APIBB para obtener datos de contacto. Durante el ciclo lectivo 2011 tuvimos gran éxito con profesores que tuvieron que llamarnos para pedirnos que no diéramos sus datos más ya que habían cubierto todos sus horarios disponibles. Nuestro listado recibió alrededor de 1000 consultas entre marzo y abril, ayudado por el aviso clasificado que publicamos en La Nueva Provincia. Por esta razón, seguimos manteniendo la sección y renovamos nuestra invitación a formar parte de ella. Aquellos profesores que ya nos han enviado sus datos permanecerán en el listado a menos que soliciten sean dados de baja. Para formar parte de este listado que está abierto los 365 días del año en forma gratuita, les rogamos por favor completar el siguiente formulario. Si ya son parte del listado y desean realizar cambios a los datos enviados, o ser más específicos en cuanto a las clases que ofrecen, les rogamos también lo completen. 2012 SIGs: Get Ready to Plan! Once again, we need to start planning! As we did last year, we invite you to bring your books and materials you are going to work with during the year, “diseños curiculares” and everything you consider useful for your planning (samples given at your school, other plans from previous years, etc). We have also collected the Diseños Curricularas in this post for you to download and have at hand in case you need them. No matter whether you are working at a public or private school, together we will try to solve the difficult task of planning according to the different requirements at schools. We have the pleasure to inform you that APIZALS (Asociación de Profesores de Inglés Zona Andina y Línea Sur) and APIBB have joined in an effort to provide one more service to our members, thus APIZALS and APIBB members will have the same benefits, plus the following: Groups of 5 APIBB members pay 4 fees!!! Check out the registration information below and remember, if you are a member of APIBB, you’ll pay the “member” fee. Click on the image below to access the online registration. Especial: IM, DM, DC, SH, DH, TD, IS, AL, TP, AB, AR. PENSAR LA ENSEÑANZA DE LAS PRACTICAS DEL LENGUAJE EN EP . Polimodal y TTP: PF, 3X, 3W, HIL, HIS, EL, ECS. Como ya se llevó a cabo durante el mes de marzo y debido a la importante respuesta de la comunidad en general ante la publicación del aviso clasificado en La Nueva Provincia ofreciendo el listado de nuestros socios, hemos cumplido en seguir con la publicación de la misma durante los domingos del mes Julio. Volveremos a repetir el mismo durante los meses de Noviembre y Diciembre. ACLARACIÓN: no tiene costo adicional para los socios. Como es de vuestro conocimiento, APIBB posee un convenio con el Hotel Juncal Palace de Buenos Aires ubicado en Barrio Norte. Estas tarifas incluyen desayuno e impuestos, y están sujetas a modificación. Para poder hacer efectivo dicho descuento deberán presentar en el Hotel una constancia de socios de APIBB con cuota al día que deberán retirar de la oficina. 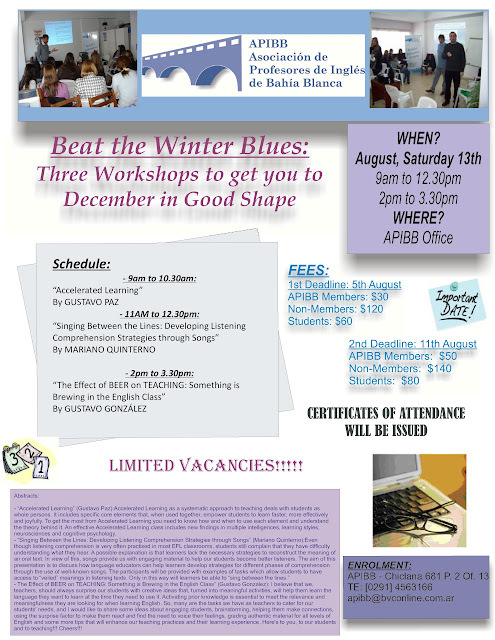 August workshops: Beat the Winter Blues! Accelerated Learning as a systematic approach to teaching deals with students as whole persons. It includes specific core elements that, when used together, empower students to learn faster, more effectively and joyfully. To get the most from Accelerated Learning you need to know how and when to use each element and understand the theory behind it. An effective Accelerated Learning class includes new findings in multiple intelligences, learning styles, neurosciences and cognitive psychology. I believe that we, teachers, should always surprise our students with creative ideas that, turned into meaningful activities, will help them learn the language they want to learn at the time they need to use it. Activating prior knowledge is essential to meet the relevance and meaningfulness they are looking for when learning English. So, many are the tasks we have as teachers to cater for our students’ needs, and I would like to share some ideas about engaging students, brainstorming, helping them make connections, using the surprise factor to make them react and find the need to voice their feelings, grading authentic material for all levels of English and some more tips that will enhance our teaching practices and their learning experience. Here’s to you, to our students and to teaching!!! Cheers!!! a. Los valores por hora para profesores establecidos por el Gobierno de la Provincia de Buenos Aires para escuelas públicas. b. Los valores por hora para profesores informados por SADOP para escuelas privadas y academias de inglés. c. Los valores y honorarios para los diferentes servicios provistos por los socios presentes. Preparación para exámenes escolares: Contempla aquellos alumnos que necesitan clases para rendir exámenes escolares en forma temporal, para casos específicos. Apoyo escolar anual: Contempla aquellos alumnos que asisten a clases de apoyo durante todo el año. Preparación de exámenes internacionales: Se estableció esta categoría debido a los materiales específicos y preparación especializada requerida de parte del docente para poder proveer este tipo de servicio. Conversación: Contempla alumnos que asistirán a clases en forma anual o similar. Clases a empresas: Contempla la enseñanza de inglés técnico o especializado en el contexto laboral. Clases materias de Profesorado: Para aquellos estudiantes del Profesorado de Inglés que necesitan prepararse para rendir un exámen final o parcial en materias específicas a la carrera. ESP (English for Specific Purposes): Clases con objetivos muy específicos, como inglés para secretarias. Suficiencia UNS: Contempla preparación de alumnos universitarios para rendir exámenes de suficiencia específicos a sus carreras. Los valores de referencia establecidos están exclusivamente a disposición de los socios de APIBB. deben comunicarse con nuestra oficina en forma telefónica al 4563166.